A lot of people don’t realise just how important their flooring really is. After all, there really isn’t much to think about as long as it looks okay, right? This is far from the truth. In reality, your floor does quite a bit more than simply spruce up a room. Floors play an important part in the overall comfort and quality of your home. From absorbing heat and cold to absorbing noise and even being more or less comfortable underfoot depending on the material of the floor, there is a lot that your floor does for your house. Because floors play such a role in your house, it is crucial for you to choose the floor that best suits you and your needs. Many people find that one of the most versatile floors are the timber floors. Thankfully, there are a variety of timber floors for your house that you can choose from. As you might be able to imagine, there are about as many different timber floors as there are trees to get timber from. In fact, some floors aren’t even made from real wood and are instead made from vinyl designed to have the appearance of wood or are simply laminate. In addition to this, there are also hybrid floors that you can choose from. Hybrid flooring is a combination of both laminate and vinyl flooring. There is no shortage of floors to choose from when you choose to search in a place such as Timber Flooring Clearance Centre. When you begin your search for timber flooring, there are so many different choices to choose from. If you are looking for a real, pure wood floor, there are a few different choices. For example, bamboo flooring is an option that provides a unique appearance that you can’t always get from other types of wood. Similarly, you could also consider pre-finished floors, which you really only have to attach to a subfloor. For this, there are more local options, such as Australian Spotted Gum. However, there are many more floors that combine timber with something else, such as vinyl. Out of the less pure wood floors, there are options such as only vinyl floors, engineered oak and timber, and hybrid floors. Vinyl floors have no trace of wood in them whatsoever and only mimic the appearance of wood for a cost-effective alternative, although they don’t provide the same benefits that wooden floors do. Engineered timber floors have a piece of hardwood floor on the top, although it is very thin. Underneath that is typically a plank of plywood, creating the sound and appearance of a hardwood floor even though it isn’t. Hybrid floors are a little bit different. They combine both laminate and vinyl flooring into a waterproof, durable floor that doesn’t suffer the same weaknesses as wood while still keeping the appearance of an authentic timber floor. Why Should You Consider Timber Floors? Aside from the aesthetic appeal of timber floors, there are a few other reasons why you should consider a timber floor. 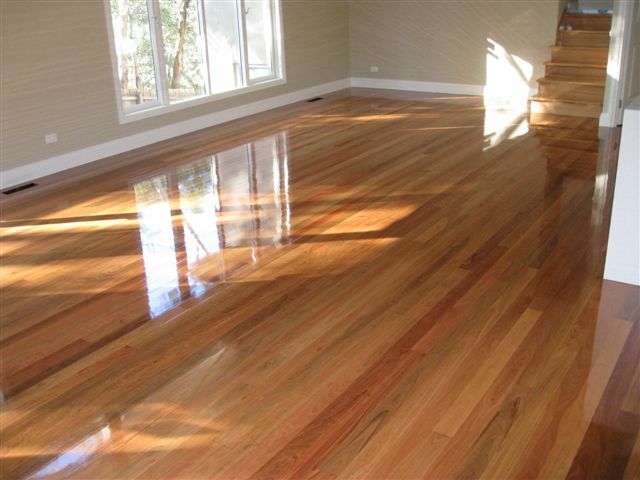 Timber floors are durable and can absorb sounds wonderfully, making them perfect for houses. However, some of the alternatives to timber floors do not suffer the same vulnerabilities to water and mould as timber floors do. Talking to a specialist can help you determine which type of floor is best for your house.